Cipril H (Lisinopril + Hydrochlorothiazide) is an angiotensin-converting enzyme (ACE) inhibitor. This is used in the treatment of congestive heart failure and high blood pressure. It can be prescribed for adults and children 6 years and above. Cipril H has an ingredient that helps the kidneys remove fluid from the body. This can help in treating a condition like congestive heart failure. It also prescribed to control serious problems like heart disorder, stroke, and heart attack. You can buy Lisinopril + Hydrochlorothiazide here. Why buy Cipril H Cipril H (Lisinopril + Hydrochlorothiazide) for Angina Pectoris? How does Cipril H Cipril H (Lisinopril + Hydrochlorothiazide) work? Cipril H contains two active ingredients Lisinopril and Hydrochlorothiazide. The Lisinopril is an angiotensin- converting enzyme inhibitor. Lisinopril works by reducing the stress on the heart. It relaxes the blood vessels so the blood can flow smoothly and the heart can pump blood more. The hydrochlorothiazide works to remove the extra water and electrolytes from the body. It also improves the flow of blood and relaxes the blood vessels. How to use Cipril H (Lisinopril + Hydrochlorothiazide)? Read the product leaflet before you start using this medication. You should be aware of the complication that it may cause. Take this medicine as instructed by your doctor. Make sure that you’re not allergic to the ACE inhibitor. Swallow the medicine and do not chew. Do not overuse the drug or take it as much as your doctor’s instruction. It may lead you to overdose. If this happens, visit your doctor right away. What are the side effects of Cipril H (Lisinopril + Hydrochlorothiazide)? Cipril H may cause side effects just like any other drug. The common side effects are a pain in the chest, headache, and dizziness. This drug may also cause serious side effects. Serious side effects include diarrhea, chest discomfort, and a fast heartbeat. Visit your doctor if you have a problem with urination, appetite loss and loss of bodily movement. Do not take this drug if you’re allergic to the ACE inhibitor. Consult your doctor if you’re pregnant or lactating. Avoid consuming the drug before taking any lab test. Discontinue taking the drug if there’s an allergic reaction. Keep the medicine away from the reach of children and pets. Cipril H – 5 + 12.5mg is a combination medication. It is used for the treatment and control serious heart problems like high blood pressure, heart attack, stroke and other heart ailments. Cipril H – 5 + 12.5 mg is also used to treat diabetic symptoms and other renal problems. It is an ACE inhibitor drug that stops the action of Angiotensin II enzyme in the body that causes constriction of the blood vessels. Olmesar A (Amlodipine Besilate + Olmesartan) is an Angiosen 2 receptor blocker (ARB). It is a combination medicine used for the treatment of high blood pressure, chronic stable angina, coronary artery disease, and other heart conditions. It contains active ingredients such as Amlodipine Besilate and Olmesartan. Olmesar A relaxes the blood vessels allowing the blood to flow smoothly. 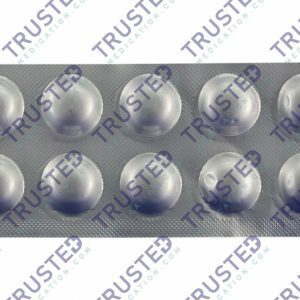 You can buy Amlodipine Besilate + Olmesartan here. Ivabrand (Ivabradine) is an anti-anginal. It belongs to the class of drug known as nucleotide-gated channel blocker. This medicine can treat chest pain (Angina Pectoris). It is also used to lower the heart rate of a patient with angina. It has an ingredient which can control the angina attack. It helps to improve the state of the heart and preventing it to become worse. This can prevent the attack of angina. Ivabrand is proven to be effective in regulating the rate of your heartbeat. You can buy Ivabradine here. Cipril (Lisinopril) is an Angina Pectoris Antianginals that contains an active ingredient Lisinopril. It is used in the treatment of high blood pressure and other heart conditions. It is also used in the treatment of myocardial infarction. Myocardial infarction is a heart disease where the blood vessel that pumps blood to the heart is blocked. Cipril is also prescribed after a heart attack and for kidney disease. It helps to prevent future heart attack and stroke. It improves the survival if it is taken after a recent heart attack or heart failure. It also slows down diabetic kidney disease. It is important to maintain a proper diet and exercise regularly when taking this medicine. It is not advisable to take this medicine if the patient has known allergy to it. You can buy Lisinopril here. Copyright © 2019 TrustedMedications.com All rights reserved.